I've known this buko pie brand since the late 90's. 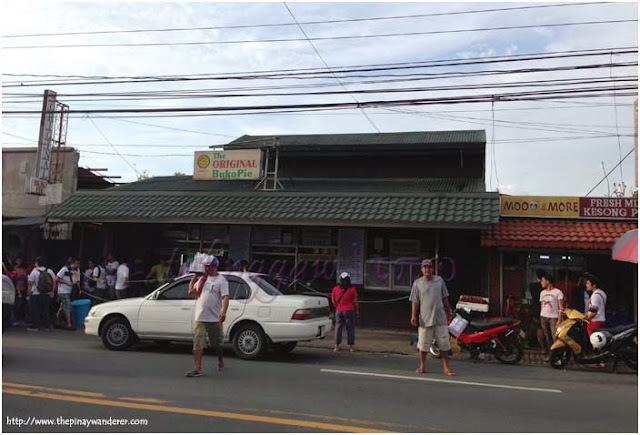 My former supervisor (from my first job) used to bring us buko pie from this bakeshop. 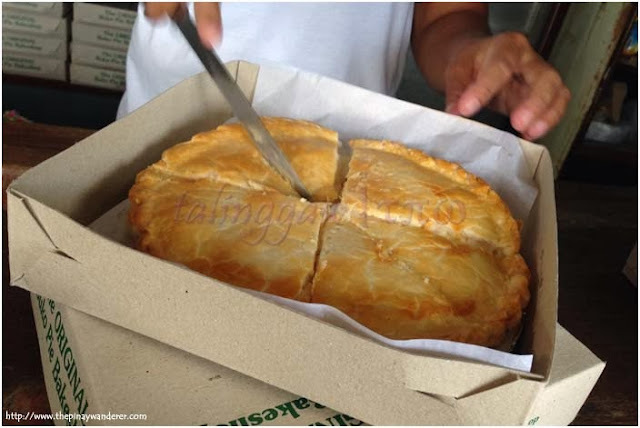 He told us then that this is the best buko pie in Laguna. And I agree! At least from the several brands I tried, this is the best so far. 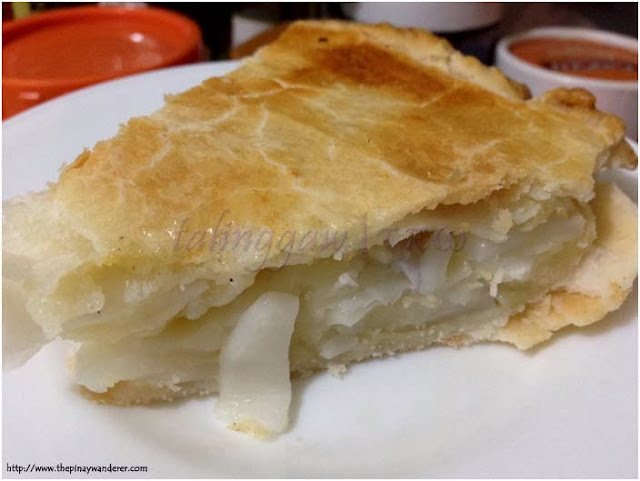 This is the slice of the famous buko pie, with lots of young coconut meat in it. It's still warm when I ate it, despite more than seven hours on the road. 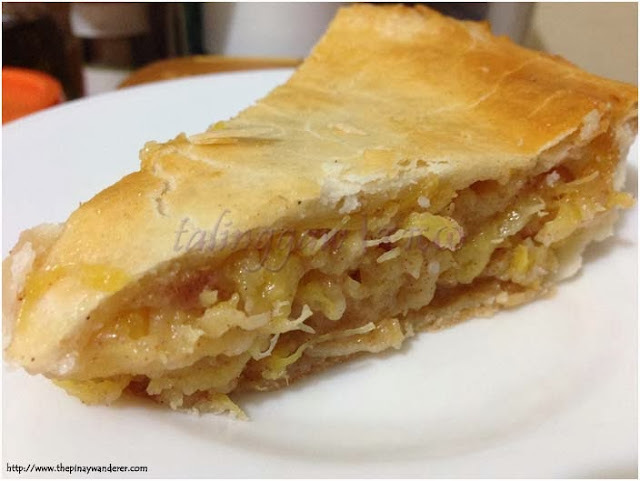 This buko pie is yummy and filling, and not too sweet, too. I love it together with a cup of ginger tea (that's what I have that night). And since I didn't buy pineapple pie, I asked my friend for a slice so I can try it also. I liked it too; it's sweeter than the buko pie, though. The following week (as mentioned in my previous post, I went back to Laguna for some personal reasons), I went back to the Orient again. And just like before, there were lots of people there queuing up. Thanks for the owners though, they gave us some free taste of their products (tropical pie and cassava cake), making the waiting bearable somehow...hehe! ;) Anyway, because of this free taste, I changed my mind. Instead of buying buko pie and pineapple pie for take home, I bought tropical pie (150 PhP/box) - buko pie and pineapple pie in one. Yummmm!!!! Nagutom ako dun ha. 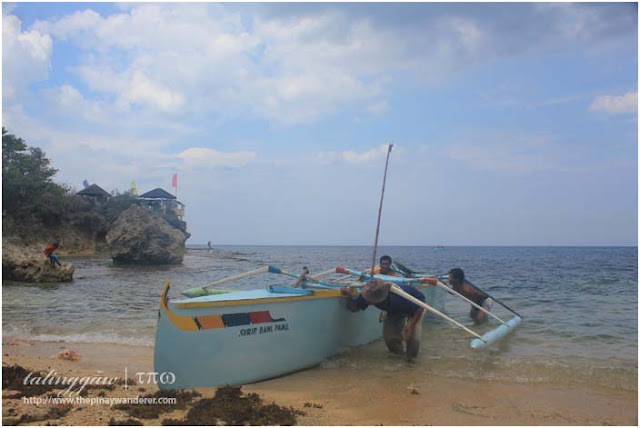 Gusto ko talaga ulet pumunta sa LAguna to try this and bumili ulet ng cake sa Mernels ba yun? I forgot. 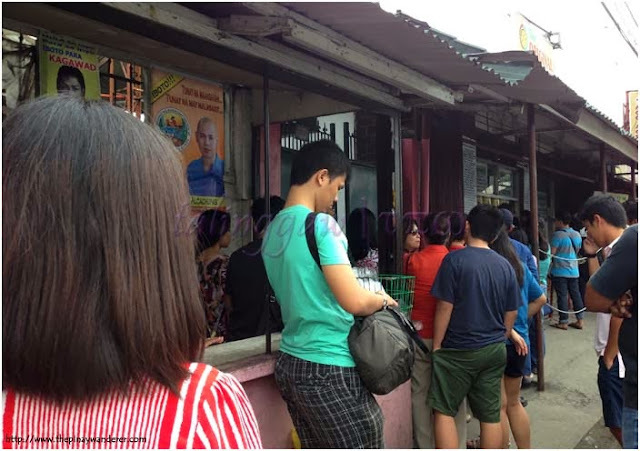 @June: try their buko pie pag nagawi ka ng Laguna, yun nga lang, tyaga sa pila lalo na kung weekend o holiday...hehe.